Four wheel driving and proper maintenance. A vehicle’s four wheel drive system is what enables all four wheels to spin at once. Every four wheel drive vehicle has a transfer case that is located somewhere between the front and rear axles. This regulates the rate at which the wheels spin and doesn’t allow them to spin at different rates. Felix Auto and Tire can help you keep your vehicle’s four wheel drive system working the way it should! 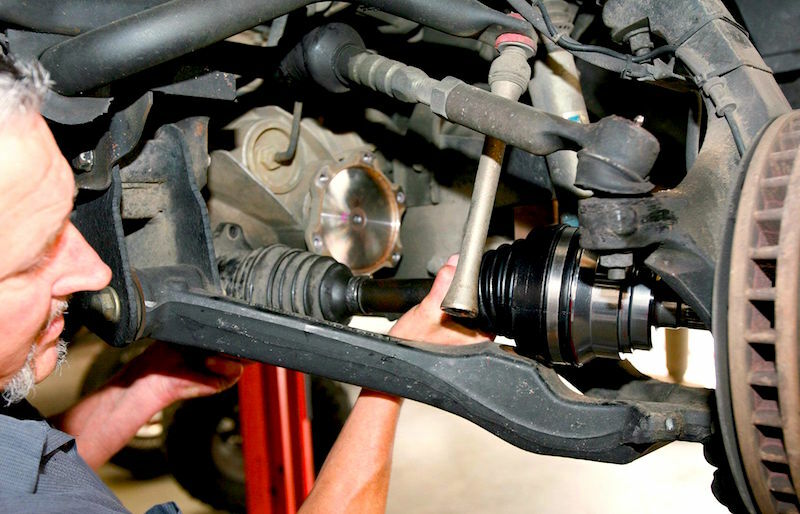 We’re a professional garage, and we have experience working with all types of 4WD configurations, including locking differential systems, limited-slip differentials, manual hub systems, and automatic hubs. Your four wheel drive system is responsible for getting you out of tight spots. It is also useful if you drive on rocky or bumpy terrain regularly or just every once in a while. However, your four wheel drive system will need some attention to consistently give you a smooth ride. The rougher the terrain you’re driving on, the bigger impact it will have on your vehicle’s 4WD system. Regular maintenance from Felix Auto and Tire can keep your four wheel drive in check. When you bring your 4WD vehicle in to Felix Auto and Tire, you’ll find that we offer inspection and repair services to cover all your four wheel drive needs! We can do an inspection to make sure that the 4WD system is supplying power to all 4 wheels of your vehicle. This inspection will include the gears, shafts, hubs, and fluid. We also offer complete transfer case services, from simple inspections and regular maintenance to repairs. Whether you have a full-time or part-time four wheel drive vehicle, it’s important to keep the 4WD elements working properly, because you never know when you’ll need them! A part-time system may not be able to switch back and forth from 4WD if there is a problem with the gears or the transfer case. Full-time four wheel drive systems can develop issues that reduce their life span if they are not serviced regularly. Take care of your four wheel drive system and it will take care of you! For all your four wheel drive system needs, call Felix Auto and Tire!